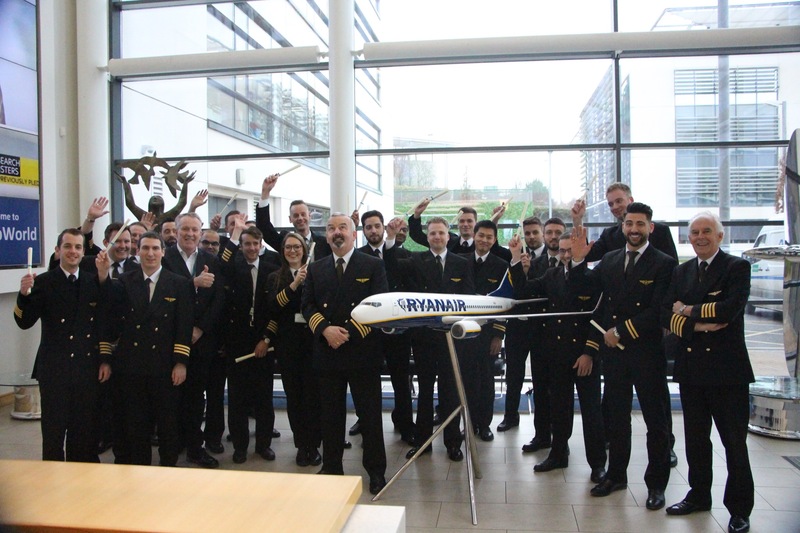 Ryanair today (15 Feb) announced that 21 new Captains and 14 new First Officers have joined the airline, as Ryanair Chief Pilot, Ray Conway, presented the new pilots with their ‘Wings’ at a ceremony at Ryanair’s Dublin Offices. They join the 103 pilots who have joined so far this year, and the more than 1,100 new recruits in 2017. “Ryanair continues to hire and train the best pilots on a weekly basis, as we expand our fleet and our world class team of pilots. The ladies and gentlemen that fly for Ryanair are the best in the business and it’s no surprise that we continue to attract hundreds of pilot applicants from other airlines, who join Ryanair for our industry leading pay, excellent working conditions, unrivalled career progression and brand new aircraft. I look forward to welcoming many more as we grow our route network, fleet and passenger numbers over the coming months and years.